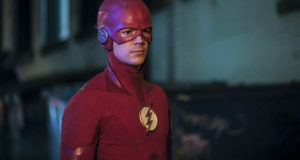 The CW aired a one minute long trailer after tonight’s episode of The Flash showing what’s coming up, AND they’ve released a one-minute promo about the Harrison Wells story. Here’s tonight’s trailer, with the Wells video immediately below. 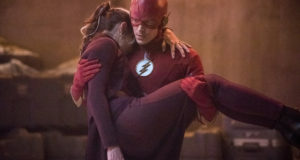 Photos from the next new episode of The Flash (featuring Arrow’s Felicity & Ray!) 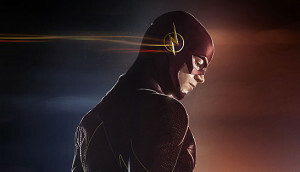 can be found below the videos, and if you’ve just finished “Tricksters” and want to talk about it with other fans, come by our Flash forum! 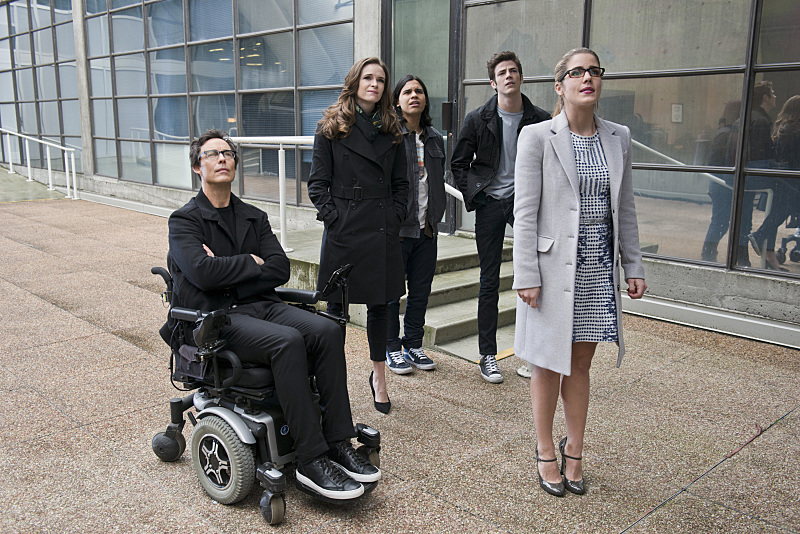 The Flash -- "All Star Team Up" -- Image FLA118A_0034b -- Pictured (L-R): Tom Cavanagh as Harrison Wells, Danielle Panabaker as Caitlin Snow, Carlos Valdes as Cisco Ramon, Grant Gustin as Barry Allen, and Emily Bett Rickards as Felicity Smoak -- Photo: Cate Cameron/The CW -- ÃÂ© 2015 The CW Network, LLC. All rights reserved. 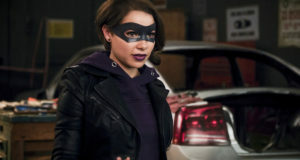 I just got want to know why in the world is Ollie wearing that! ?